Bryan Jorgensen, current Board Member, has been a contributing member of the South Dakota Soil Health Coalition since its inception in 2015. Bryan holds a bachelors of science in Mechanized Agriculture from South Dakota State University which he earned in 1987 and is a partner in “Jorgensen Land and Cattle”. 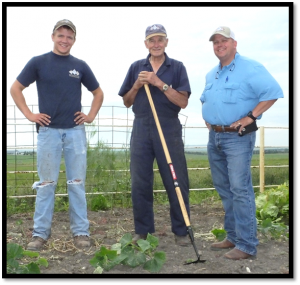 A fourth-generation family owned and operated farm and ranch, the partnership includes Bryan’s brother Greg, nephew Cody, and son Nick. Together they run a hunting lodge, diverse cow/calf and bull development operation, as well as farm 12,000 acre no-till crop operation growing feed-stuffs, feed grains, and certified seed. 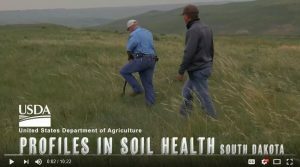 Soil Health practices utilized by Jorgensen throughout his operation include No-till, cover crops, diverse crop rotations, as well as livestock integration. 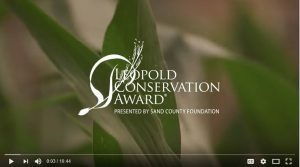 He is also active in groups such as the South Dakota Crop Improvement Association, Nutrient Research and Education Council, Tripp County Water Users District Board of Directors, as well as the USDA NRCS Voices for Soil Health and Soil Health Mentoring. Sustainability is becoming a priority to everyone, especially when it comes to purchasing food. 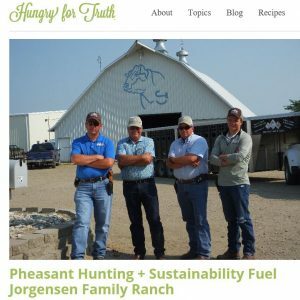 At Jorgensen Land and Cattle and Lazy J Grand Lodge, sustainability is at the forefront of every decision they make. 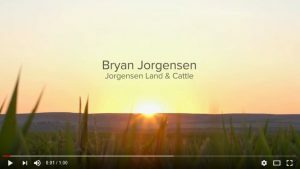 Bryan Jorgensen, with Jorgensen Partnership, Ideal, SD, shares his understanding of natural resources and production agriculture and the science behind the management decisions they are making on their diversified farming and ranching operation.